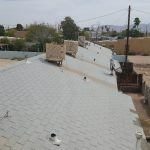 While not as common as Tile Roofing or Tile Roofing Repair, shingle roofs are present in the Valley of the Sun in some homes dotted throughout the landscape. 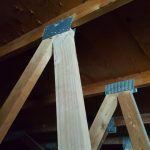 More commonly found in the homes in the Northern part of the States, this form of roofing has it’s benefits and setbacks. 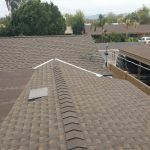 This is not unknown to Castile Roofing, which while known for our quality tile roofing; we also offer quality Shingle Roofing services, such as installation, maintenance, and repairs. Shingle Roofs are based on the use of small tiles known as shingles. 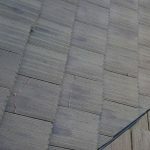 These tiles are made of wood, metal, and asphalt. Asphalt shingles are the most used material for shingle roofs. 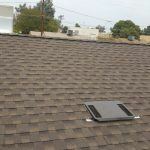 This makes it fairly cheap for roofing installations when traditional tile can become costly. But that also can be a concern in terms of maintenance and repair if not kept up properly. 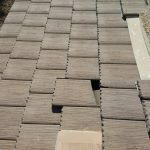 What Can Castile Roofing Do To Help? The answer is simple: continue to provide Roofing Done Right! This includes shingle roof installations, shingle roofing repairs and maintenance for homes that need them. This has been the core reason why customers continue to do business with Castile Roofing. They want roofing done RIGHT; we’re here to ensure that. Is There Any Particular Shingle You Specialize In? 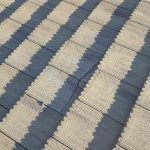 Castile handles many types of roof work; but we are more familiar with asphalt shingles. This is due to how most homes are designed around them. Tiles are the main material of roofing, followed by shingles. This does not mean we are limited to this material, just that our exposure to it is more common than other shingle material. How Do You Get Into Contact with Castile Roofing? We offer two forms of contact to get your shingle roofing concerns handled. The first, and possibly fastest mode of contact is via email: info@castileroofing.com. This will get you in touch with our staff and they can provide detailed information you can view at your leisure. The next best option will be calling Castile Roofing at (602) 687-7282. This option does take time; this is because calls are answered in the order of which they are received. Email would be a much better option in response to inquiries and help ensure quality shingle roofing done right! Use the second option only if you are having trouble getting in contact with us via email. 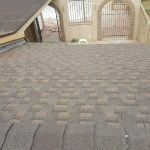 Castile Roofing is the Valley’s most requested roofing company; providing Roofing Done Right with quality service. 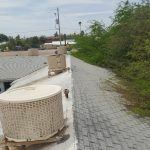 No matter the season, the place, or the roof, Castile will work to the fullest extent possible to keep the roof above customers’ heads in fine shape. We serve all Valley Cities, such as Mesa, Tempe, Chandler, Glendale, Casa Grande, Scottsdale, Avondale, and even as far as Eloy! 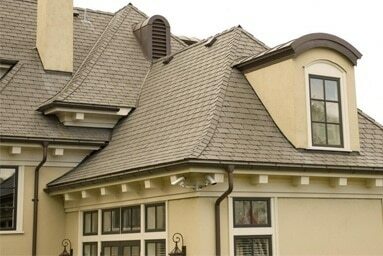 Quality Shingle Roofing is just a email or call away, so contact Castile Roofing now. Trust Roof Repair to Us, the Experts of the Valley: Castile Roofing! 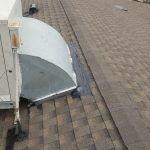 Homeowners dread this, and business owners fear this: roof repair just isn’t something people are willing to concern themselves with. It’s costly to handle so most ignore it at first. Then the problem escalates to where they HAVE to address it, or it becomes far too hazardous to live/work/do business. 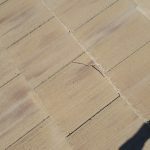 While most would not let such damage go to this extreme, it’s still a hassle to deal with roof repair. Castile Roofing is more than eager to handle such ‘hassle.’ This makes us the best option for roof repair when you need Roofing Done Right! 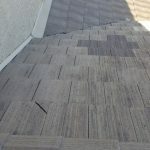 Why Deal with Roof Repair? It’s not enough to just ‘deal’ with roof repair. The roof of the home is just as important as water or electricity. It is the first and last line of defense against the elements of the sun and rain. 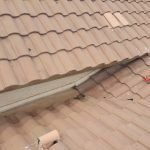 Neglecting the roof could lead to further damage inside the home; and for those selling their home it will quickly devalue the property itself. It is in the best interest of home and business owners to have these matters handled properly. 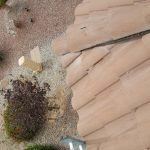 Castile Roofing is more than capable of this service. What Types of Roofing Materials do you do for Roof Repair? 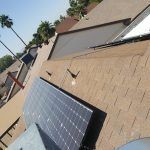 The roofing materials range from home to home, but the quality of work is universal to all residents of the Valley of the Sun! Having lived in the Valley ourselves, we literally are a part of the homes we serve. That’s how we can work for customers in Mesa, Tempe, Avondale, Glendale, Casa Grande, Phoenix, Scottsdale, and more! How Do We Contact Castile Roofing? We have many ways to contact us, and here’s how. First, the best method of contact is email: info@castileroofing.com. Our team will respond quickly and give you insight on scheduling. After this, the next best method is via phone. Though it is best to contact us as soon as possible, as our lines do get busy quickly. This is because residents trust the quality of our work; something we humbly thank them for. So if you need roof repair, consultations, installations or just want to witness Roofing Done Right, Castile Roofing is the best choice. 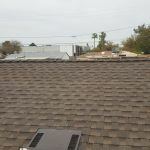 Scottsdale Roofing Done Right by Castile! The City of Scottsdale has many types of homes and buildings that dot the city’s landscape. From simple and classic homes to modern and contemporary office buildings, Scottsdale has it all. 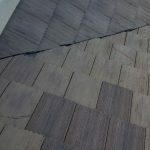 This also gives rise to potential and unique roofing concerns. 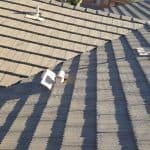 Scottsdale roofing issues are vital to resolve for residents of the area; and in a timely manner. That’s where Castile Roofing comes in, with quality service to showcase Scottsdale Roofing Done Right! 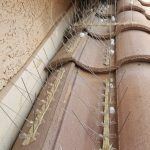 While the Valley of the Sun may have two seasons (Summer and ‘Everything Else’), in truth a roofing problem is not beholden to one specific time of the year. 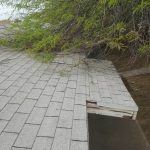 While more noticeable damage is shown during the monsoon season, that’s not to say that debris or ‘unwanted guests’ atop the roof won’t show up at any other time. 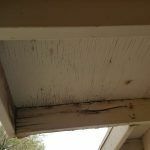 Just like the maintenance INSIDE the home, it is equally important to take care of the outside, and this includes the roof. Our staff will quickly arrive to deal with this aspect. 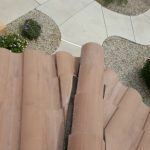 Our crew will handle the challenge presented to them, showing Scottsdale Roofing Done Right! To contact Castile Roofing, you can use our contact page, linked here. You can also contact us via phone at 602-687-7282 or 480-418-8317. Once contacted, we will schedule a visit based on your time. Finally, once on site, we will handle the situation as Castile Roofing can: Showing Roofing Done Right in a professional manner. What Does Castile Roofing Offer? Our services come in a variety of sorts, from basic inspections and consultations to full roof installations. 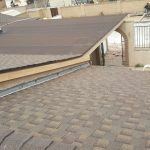 Castile Roofing has also professional that have lived as roofers for the Valley; some as early as twelve years old! 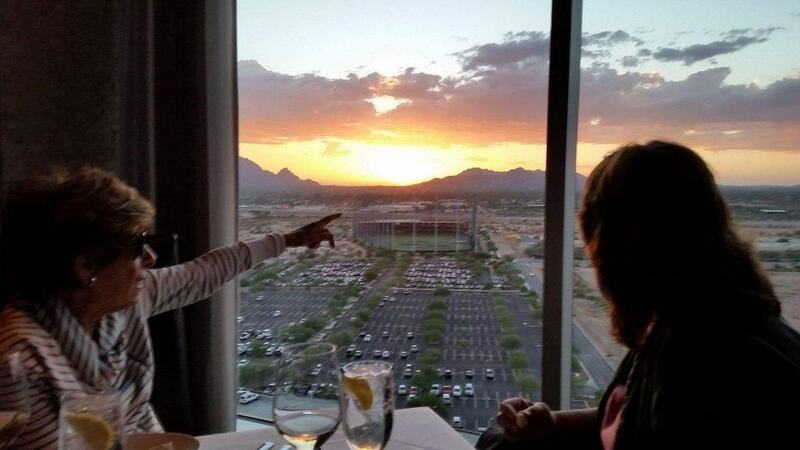 While the focus is on Scottsdale, we offer this same level of quality for all Valley Cities. 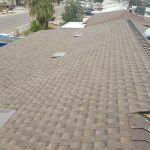 If you live in Mesa, Tempe, Phoenix, Chandler, Avondale, Glendale and beyond, we’re here to offer our services as the Valley’s premier roofing company. Call us today! We at Castile Roofing always mention to contact us to handle all of the roofing services. But for this instance, we want to also offer roofing tips. 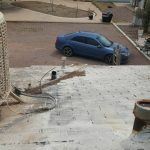 Yes, Castile Roofing is offering Roofing Tips for customers as they work to keep their home’s roof throughout the year. 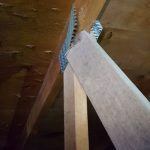 This goes without saying, but making sure there are no damaged areas in the roof is important for a lot of reasons. First, tile that is broken causes leaks to seep into the home. Broken shingles or rusted metal roofs have the same effect. This gets worse the longer it’s left alone. 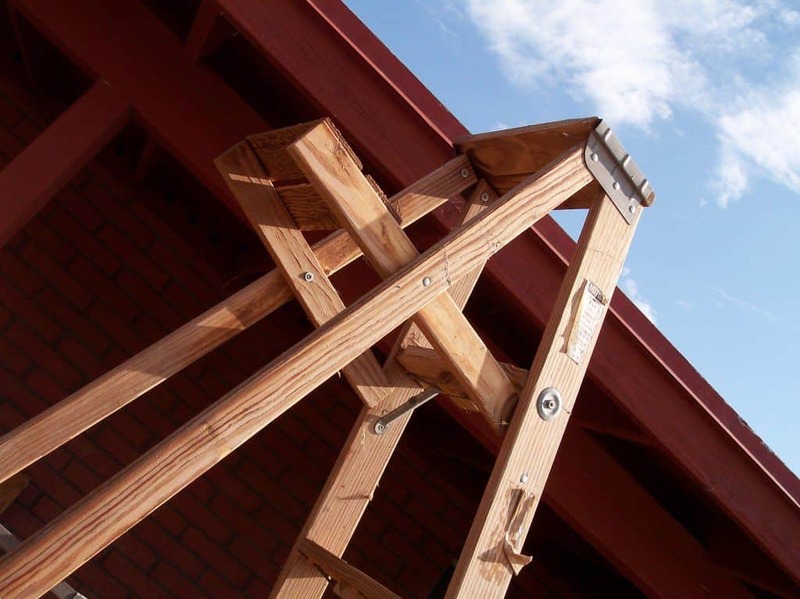 Also, depending on location, damaged sections can be hazardous as pieces of roofing material may fall onto a person. This will not only look bad on the homeowner, but will also give rise to potential lawsuits for negligence; and that is BEFORE the injured could slap fees for hospitalization and medical expenses, unless they are close friends/family. 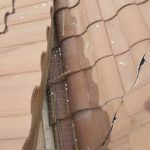 To prevent this, contact us for roofing repair; this is for both commercial or residential buildings. 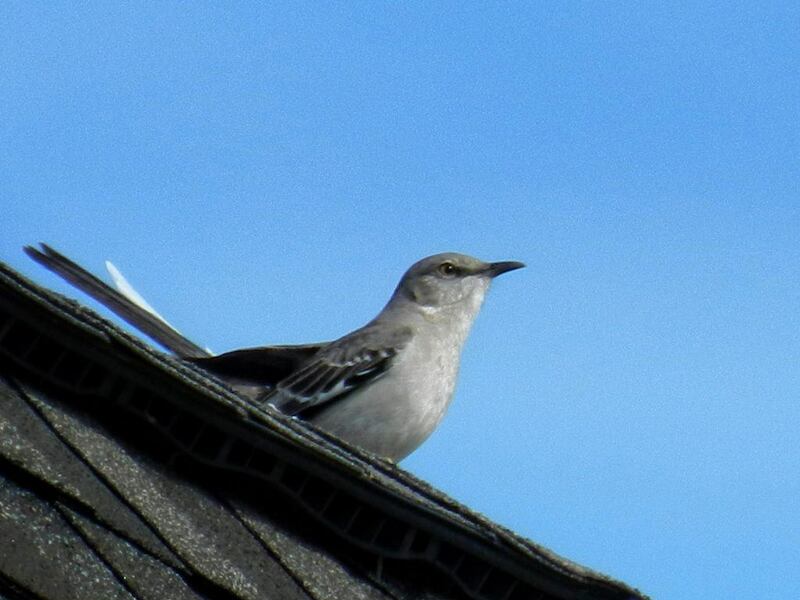 While not always considered, but having a tree or critters that remain on the roof can also cause roofing issues to occur. First and foremost, as branches break from the tree, they clog the drainage channels of some roofs. Then there is the damage and burden of clearing the debris off the roof. Leave that to us! We can offer to clean your roof while doing any major repairs at no cost. Another problem is that of ‘freeloaders’ that occupy a roof. Most of the time they are squirrels or the occasional tree dwelling insects. Finally, there could be doves/birds resting on top of the roof as well. 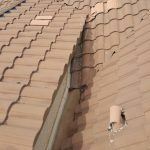 Unless that was what the homeowner intended, you’ll need to make sure they are remove from the roof to prevent damage. We also have cleaning services as well to make less stress for customers to deal with. Finally, we like to offer a third tip for our roofing tips posting. Now throughout the year, it’s important to have certified inspections to make sure you have a well-kept roof. Certifications and Inspections are our specialty if you need professional quality assurance. While we conclude our roofing tips for now, Castile Roofing is willing to assist customers with all their roofing needs. 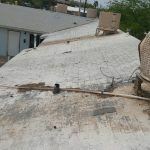 If you own/lease a building, have roofing concerns, and need a solution fast (regardless of the location in the Valley of the Sun) then Castile Roofing is waiting for your call. Contact us today! There are times when we handle tile roofing repair with the greatest of ease. Then there are times when handling such repair is time-consuming. Here’s an instance of the latter, and of the tasks needed to be done via photo presentation. The first thing we have to do is survey the roof in question. This usually can be the longest part but also the most critical. In this instance, after surveying the roof, it was discovered that over 20 tiles were severely damaged and over 10 were moderately damaged. If left alone, water leaks would be the least of their worries. As you can see from some of the photos, some of the tiles has some basic sealant to work as a temporary measure, but the damage overall was too extensive. Customers know that having a lot of tile to repair takes time. What most customers forget to realize is that tiles can be heavy to carry. These tiles averaged 20 lbs per tile. For our roofer, the max he could carry was up to three. The job required 30 replacements; during the start of our summertime. Needless to say, our stalwart roofer got his workout for the entire day. Still, to ensure Roofing Done Right, it was a workout our roofer looked forward to. There’s also the challenge of replacing the damaged tiles with the new tiles for this roof. To save time from going into specifics, there is much labor to be handled. What’s the Bottom-line From All of This? This is the end result of our tireless efforts. Castile Roofing makes these efforts of Roofing Done Right for our customers. And while there will be major repairs like this case brought to us, we’ll take the effort and care that each roof deserves! We could not be a trusted roofing company otherwise. No matter the roof, no matter the building, no matter the place; Tempe, Casa Grande, Avondale, Mesa, Scottsdale, Chandler, Phoenix, Glendale, or any Valley City. Sharing the Sheridon – One of Castile Roofing’s Finest Works! The Sheridan Has New Vents! 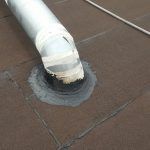 We first showcase the new ventilation covers recently installed onto the roof and sealing properly around the tiles. This will not only help in the removal of excess heat, but also help cut down Air Conditioning costs. This is a BIG plus to have as a homeonwer in the Valley of the Sun. From these photos, you can can see the completion of necessary sealant on ventilation and exhaust pipes on the roof. The first picture showcases the main duct for the air conditioner; followed by the water exhaust from the same machine to that picture’s right. The next two photos further showcase the usage of sealant from different and closer angles. Finally, we have the cleanup and finish of the project itself. The final touches showcase the love and care taken into this masterwork. 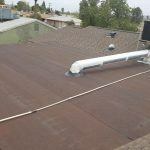 From the newly minted vent systems to the articulate use of sealant to the overall cleanup and disposal, our roofers earned their pay on this one. Rarely, roofing is seen as a work of art, but today, this art was on display for the neighborhood of this customer to see! If you would like your roof to be the next masterwork, do not hesitate to contact Castile Roofing today! 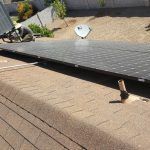 We cover all the major cities in the Valley of the Sun: Casa Grande, Chandler, Glendale, Mesa, Peoria, Phoenix, Scottsdale, Sun City (and SC West), Tempe, and more. Castile Roofing is continuing to be at the forefront of helping our customers with their roofing need. One such example took place in the neighborhood of Buckskin. We like to showcase this with some photos of the job we completed a few weeks ago. Here we see the installation of new roofing tile to replace the damaged tile that was there beforehand. As you notice, the coloration is lighter than the surrounding tile. While we make every effort to go EXACTLY as colored, there are times we have to let nature do the proper tanning for us. The primary goal is to get your home’s roof back to proper functioning capability. Sometimes, we may be asked to provide additional work; the kind that is outside the scope of the original invoice. In this instance, it was to install bird-deterrent spikes. Under normal circumstances, we would have to reschedule for a second attempt, charge for items, complete the work, etc. This is also handled on a case-by-case basis; not all cases are like this. Even so, we took the time to install these bird-deterrent spikes provided by the customer for an additional charge. Yes, we must be paid for services rendered. We cannot change that aspect of our business. These last set of picture overlook the runoff corner to ensure that are properly overlooking the roof and angled correctly. 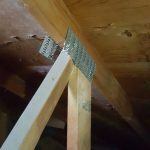 This is critical to prevent water deposits and to help with getting water off the roof quickly. This will give the roof additional years of life, and hopefully remove further calls to repairs. Why Go To Castile Roofing? For Roofing Done Right, of course! That’s how we’ve become a trusted roofing company in the Valley. 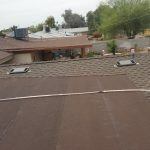 From Mesa to Tempe, Scottsdale to Avondale, Chandler to Phoenix, we cover all roofs with our quality service and customer support. Call today to schedule work you need done. One of the many small towns that dot our beloved Grand Canyon State, Eloy is a small town with many homes in need of some love. While we cannot rebuild the homes, we CAN work on roofing to make sure they can withstand the harsh weather out there. Here are some examples of some much needed work and care. Here you have the the porch area sections. As you notice, mold and rot have taken hold. Eventually, if left unchecked and without repair, this part of the roof will collapse, possibly hurting someone. Naturally, you want to keep people safe from that kind of harm. 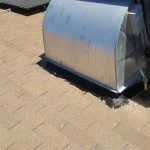 Here you see several examples of water damage from AC units installed on the roof itself. This is due to negligence when having an AC on the roof without regularly checking on it. Over time, you see runoff patterns from water/Freon seeping out from the exhaust pipe. 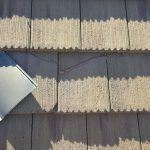 This discolors the shingles shown here and also causing permeation which weakens the roofs ability to guard against the elements. 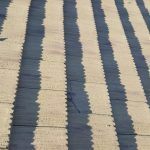 While these shown are a more extreme case, it’s important to contact us regularly to make sure you don’t have your roof end up like this. Here is where nature is not being kind to this poor roof. 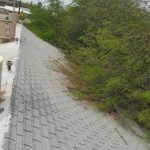 While the tree itself is not through the roof, thankfully, it can do some discoloration and and also make it too easy for tree dwellers to hop onto the roof and use it for whatever they want to do. Therefore, you want someone to inspect the roof to see if there is any significant damage. 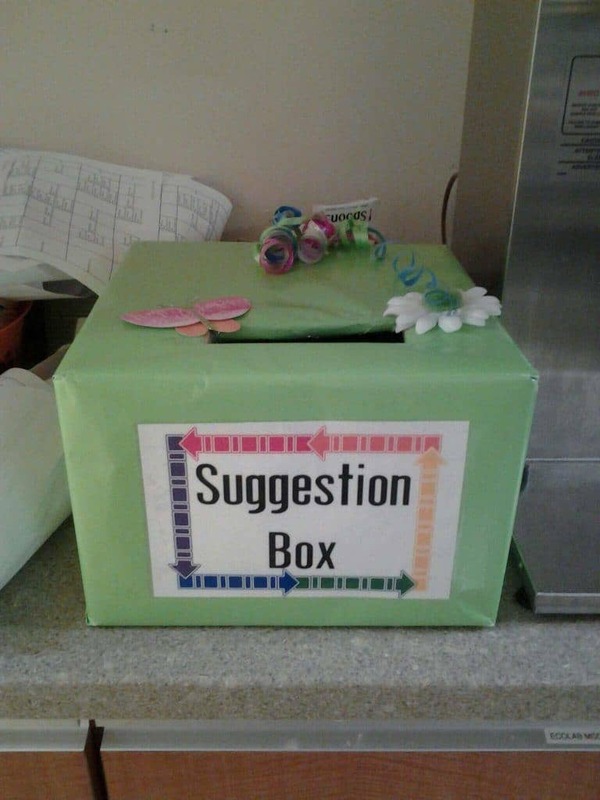 Our consultation will be able to have that done for you. Depending on the type of roof; shingle, tile, etc., the cost could be considerable. As you see from the pictures provided that a lot of the ‘porch’ sections of these roofs, along with the rest of the roofs themself are in the WORST of shape. They could fall from decay at almost any moment. So don’t wait until you reach this level of damage. Our closest and more readily available location to serve you is that of the Casa Grande Location. Contact us to get your Roof and your ROOFING Done Right! Fortunately, we were able to get the repairs necessary for this customer. The main focus here was ensuring that there are no leaks coming from the air-conditioner (so your AC bill isn’t through the roof; get it?) as well as from the vent exhausts. To do this, they used a special adhesive to ensure the areas remain airtight. 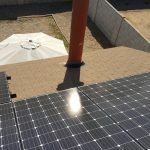 This will further save the customer vast amounts on their heating and cooling bills, on top of the savings they will have from using Solar Energy! Now we’ve reached the end, and the job is complete. Addressing the supports first prior to the roof work topside shows our care to the customer’s safety. Then, we got to work to further protect their investment in the home by cutting down potential leak areas. This is the professional quality you can rely and expect from us at Castile Roofing; Roofing Done Right in Peoria! One of the most important features on your house is the roof. It undergoes wear and tear on a regular basis. 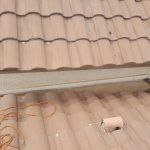 Although at some time all roofs need to be replaced, when it needs to happen will depend on various factors: especially how it is maintained and the materials that are used. 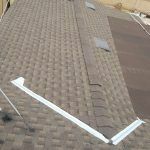 Castile Roofing is trained to handle such issues, but it helps YOU, the customer to spot them ahead of time; starting with the roofing materials. When considering tips, here’s one to start. 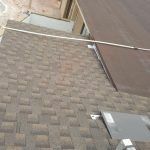 There are several different things you can do to extend the life of your roof. You can clean the roof on a regular basis, care for any nearby trees and inspect it for any wear and tear. 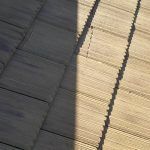 Inspecting your roof every year is one thing you can do to extend its life. For climates that have a harsh winter, the best time to inspect your roof is after winter is over. In hot climates, it should be done when summer ends. It’s also a very good idea to inspect your roof following a hail storm or heavy rain. If you check for damage on a regular basis, your roof will stay in good shape for a longer period of time. 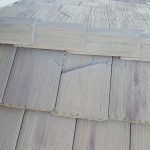 Check for curled-up edges or cracks, especially on wood shakes or asphalt shingles. 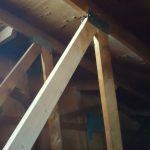 Also make sure you look for dips in your roof: that might be a sign that there is a leak. When caught early, problems are a lot easier to fix, so make sure you check your roof on a regular basis for any warning signs. Trees might be bad or good for your roof, depending on the area where you live. If you happen to live in a humid or wet climate, you need to trim back any tress hanging over your roof. 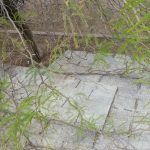 Trees in a wet climate may prevent your roof from completely drying. That will increase the wear and tear on the roof. In a sunny and dry climate, trees can actually help to prevent damage by providing the roof with shade. No matter what kind of climate you live in, make sure to remove the leaves from your roof on a regular basis, since they may trap moisture and cause other problems as well. Of all the tips, this is one of the most critical. It is very important to clean your gutters to extend your roof’s life. Usually clogged gutters are associated with causing problems either for your basement or siding, but your roof can be affected as well. 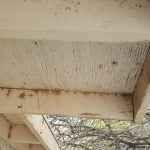 If the leaves pile up too deep, water may get into the roof’s rafters or sheathing and start to rot. Each fall and spring you should clean your gutter to prevent rot from occurring. In some parts of the country, especially the Northwest is particularly prone to moss. Mass may trap water which can cause a lot of damage. Therefore, removing it is very important. Usually you can just sweep moss of if you catch it early. You might have to kill it first if the moss has accumulated. In areas that have harsh winters, it is a smart idea to remove snow from the roof in between storms. Snow become quite heavy and can cause a roof to collapse in the right circumstances. Removing snow can prevent leaks as well. 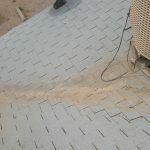 If any patches of ice are bonded to the roof, you shouldn’t attempt to remove them, since that can cause further damage. 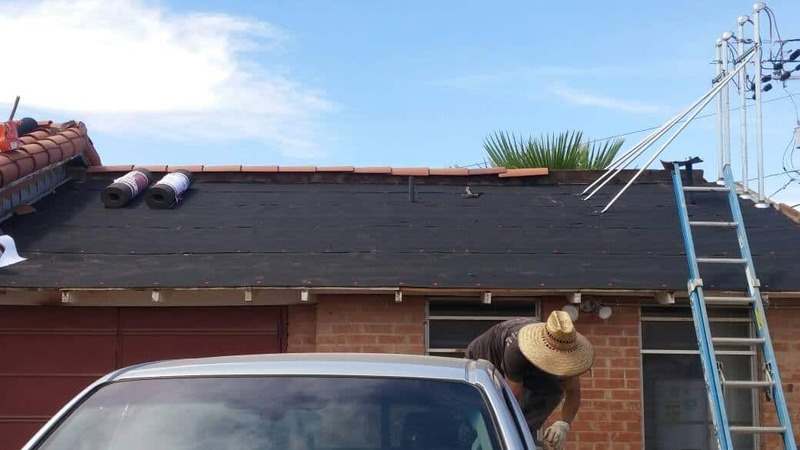 Eventually you will need to replace your roof. However, there are things you can do to help prevent this from happening too fast. A longer lifespan will depend on how your roof is maintained along with the materials that it is made of. You can get the most from your money and your roof by regular care and cleaning and by using more durable materials.